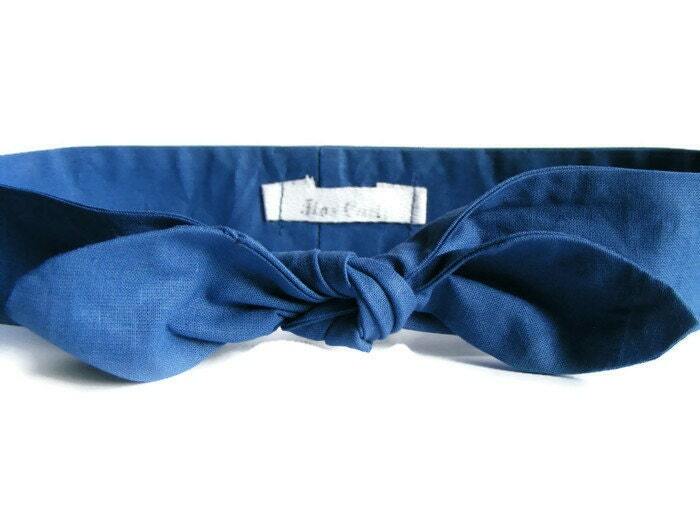 You can hold your head high when you are sporting this quality, Italian fabric hair accessory. Whether you want that pinup look, a bold statement, or a practical headband to keep your hair back in class, this headband will make heads turn. Stay cool in the heat and stylish when it is cool outside. This head scarf makes for a beautiful pinup look, with the bow adding the perfect detail. Wear the bow on top, to the side, or tuck it under the back of your ponytail or bun. Chic women and girls will appreciate the retro appeal of the headband and the modern twist on an old-school favorite hair accessory. Measuring 77 cm (30.3 inches) in length and 3.5 cm (1.4 inches) in width, this knotted headband is fully adjustable for different size heads. Slip it around your neck or on your wrist when not wrapped around your head. Every single item arrives nicely packaged – for giving and receiving. A “FlosCaeli” tag adorns the inside of every headband. Handmade in Bulgaria, this item will ship within 1-2 business days via Priority Mail. Please anticipate arrivals to the United States to take up to 15 days. Shipments beyond the U.S. may take a few extra days outside that timeframe. All customers will receive an email with tracking number once the order ships. This accessory is worth the wait! Terrible shop! I ordered my item weeks before my vacation. It was suppose to be shipped on the 1st didn’t get shipped until the 22nd when I brought it to their attention! Terrible service! Sorry for the delay of the posts. Your item was shipped on time. We had the tracking very late. In case that you're not pleased with you'r item you can returned it in 7 days with the original package and unused for full refund for the item without the postage. You'r item of a choice will be shipped 1-2 days after purchase and receiving the payment from Pay Pall.